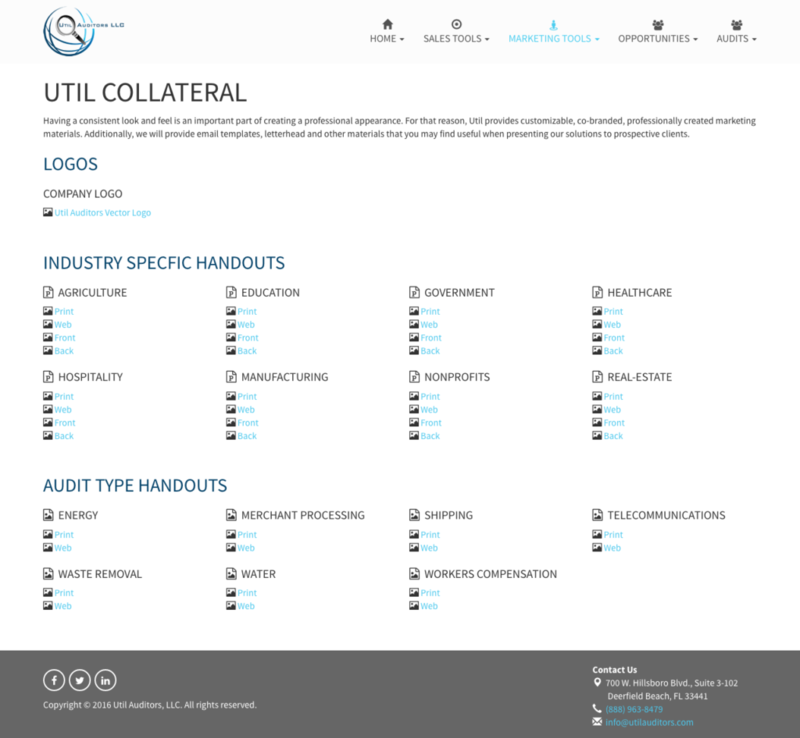 USE OUR UTILITY BILL AUDITS TO HELP SELL YOUR PRODUCTS AND SERVICES. 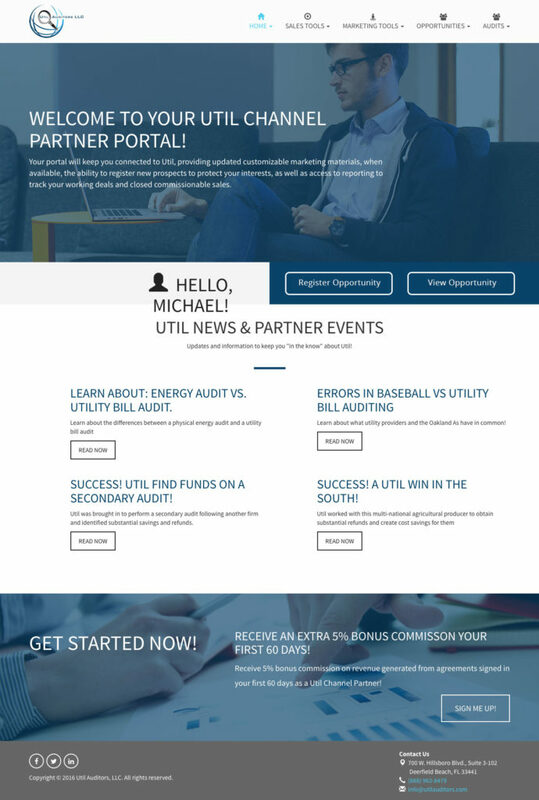 Our Industry Partner Program is a utility audit business opportunity. This opportunity is for individuals and organizations who are looking to offer our utility bill auditing services to potential and existing clients. Over 60% of businesses have unknowingly overpaid for utilities such as electric and gas, waste, merchant processing and more. We specialize in identifying and correcting utility and service contract billing errors. 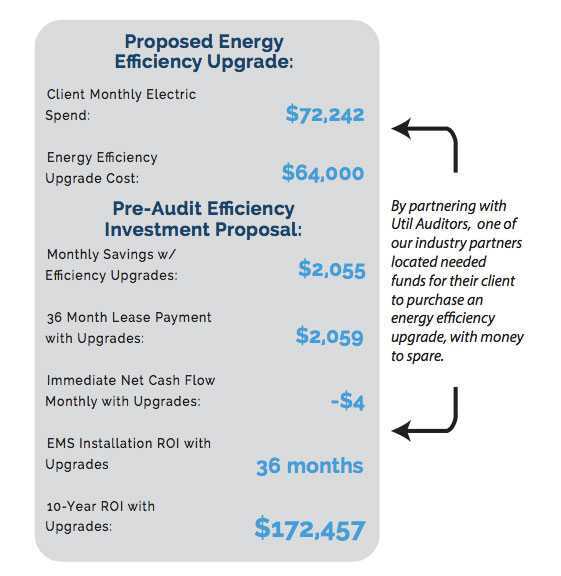 Our simple, no upfront cost audit process provides for a guaranteed, no risk solution to lower your clients’ operating expenses and increase your bottom line. We will analyze your potential and existing clients’ utility bills at no cost. When over-payments are discovered we work to obtain a refund for your client. As a result, your clients can receive substantial reimbursements to reinvest in your products and services, and you will receive a percentage up to 20%. After our assessment, our partners put our principles to work for them. Using the recovered costs, Industry Partners gain leverage to pitch other cost saving products or services. Our Industry Partners offer this service without intense training or auditing expertise. We work directly with your customer and their vendors. If billing errors or over-payments are discovered, our experts will negotiate refunds directly with your customer’s vendors. Getting started is simple. Just complete the application form on our partner portal and we’ll contact you to schedule an introductory call in a timely manner. From there, you provide your clients’ utility bill statements. And we’ll determine if there are any refunds or monthly savings opportunities. Our partnership with Util has been a great way to work with our customers. 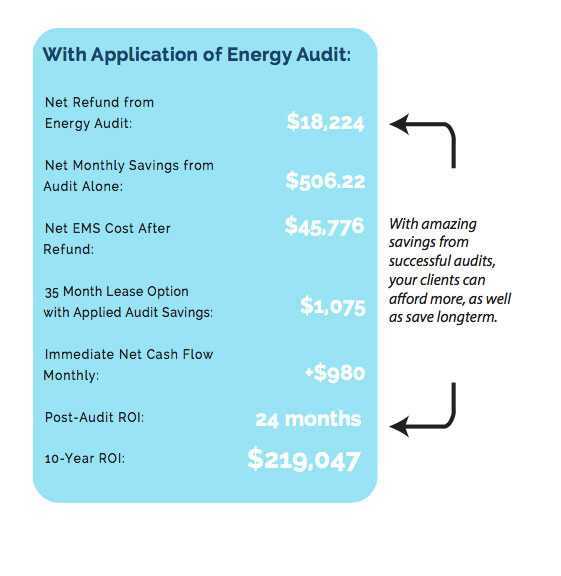 Their audits can be used to identify and free up savings to reinvest into POM Energy’s PowerGUARD- Protection that Pays. 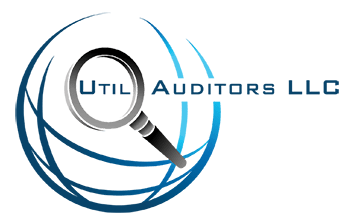 We provided Util Auditors access to our database of clients and electric bills. In less than two weeks, they were able to identify over $800K in estimated refund opportunities. 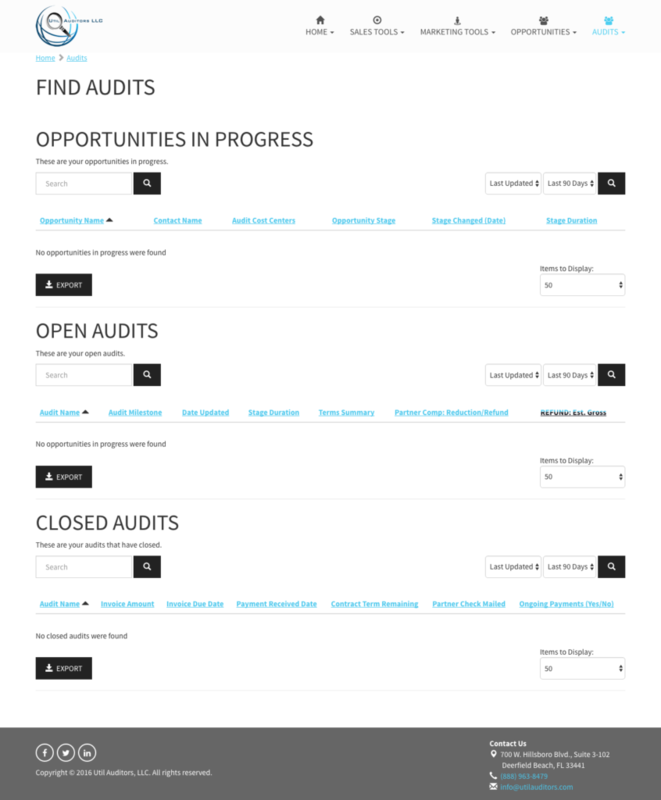 Successful audits help you sell. The money we find for your clients can be put to important use – such as investing in your products.